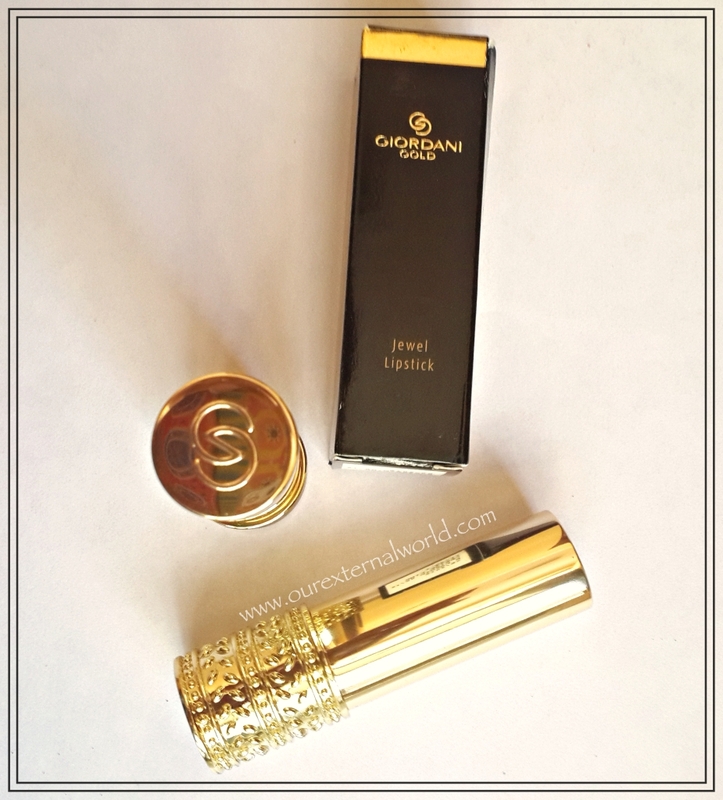 Oriflame launched a new set of lipsticks called the Giordani Gold Jewel Lipsticks. I have two of these lipsticks to share with you. Giordani Gold Jewel lipsticks come in a luxe gold packaging which looks quite stunning. They call it the 'jewel' of your handbag! 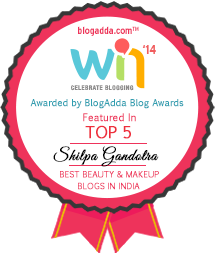 The lipstick has an amazing creamy texture which is almost light like a lip balm. It is extremely moisturising and hydrating on the lips. 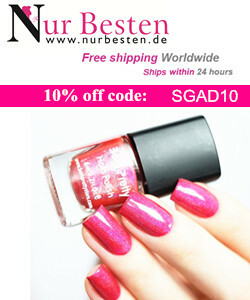 The colors are not highly opaque yet do cover pigmentation. 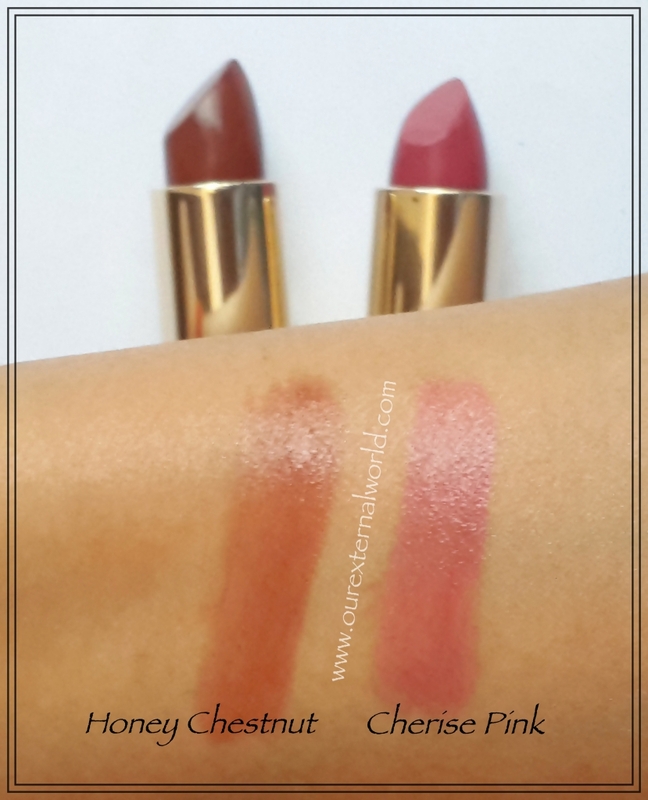 I have two shades from the range - Honey Chestnut and Cherise Pink. Honey Chestnut is a proper chestnut brown shade. Cherise Pink is a rose pink shade. 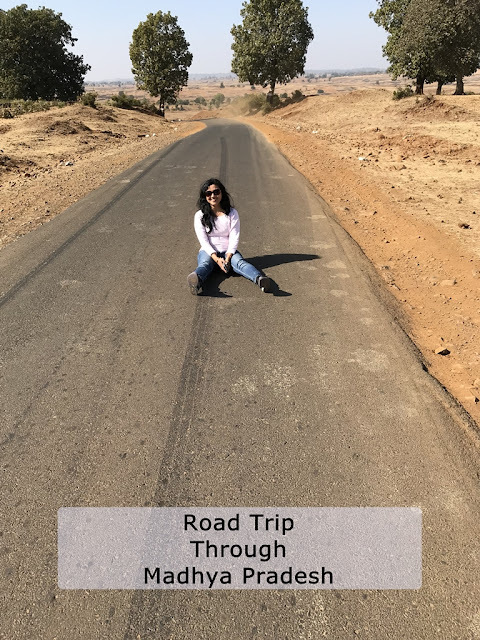 Both shades are great for all skin tones and specially complement the Indian skin tone range (they will suit pale skinned girls just as well as they would suit dusky girls). The shades are great for office wear, and the lipstick itself is something you would proudly carry around wherever you go. Since these lipsticks are balmy in nature, they do not last too long on my lips. But compared to a normal lip balms these lasted for around 3 hours with a cup of tea in between. 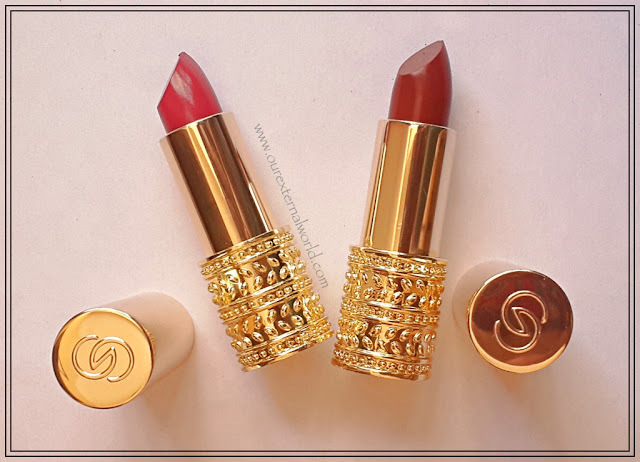 The Giordani Gold Jewel Lipsticks are amazingly light on the lips and they have a very nice selection of shades to chose from. 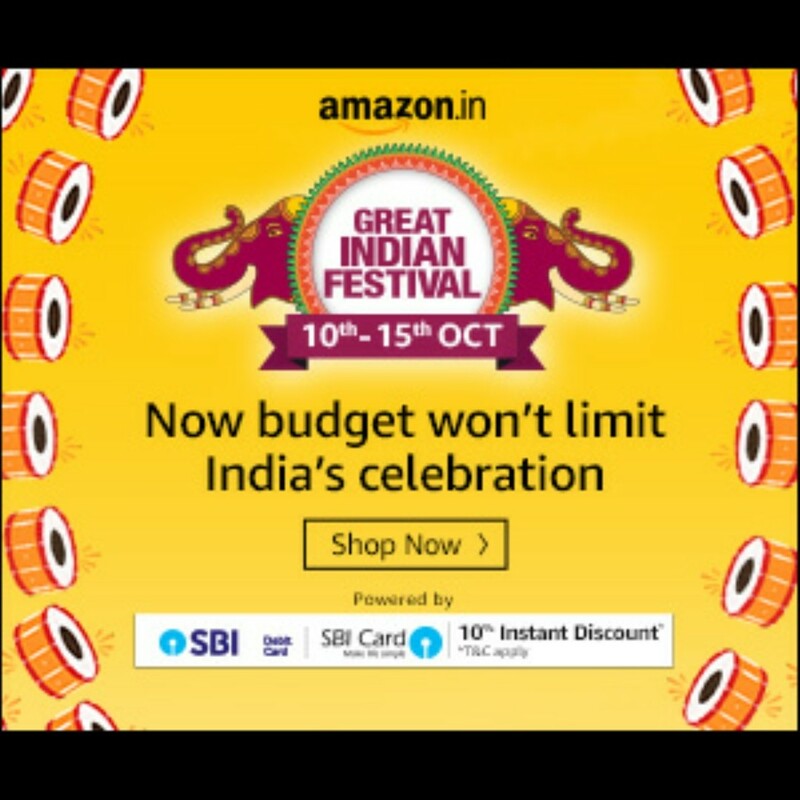 Do make use of the online sales to grab your favourite shades! the packaging is very luxe. Wow - the packaging definitely aligns with the "jewel" of the hand bag! The packaging looks totally amazing and luxurious. I love sheerer, moisturizing shades like this! The packaging is absolutely gorgeous! The packaging, though! Super high end looking. Beautiful packaging! And the shades are so wearable!